When it voted to adopt a new two-year state budget early Thursday morning, the Senate also endorsed a $3.5 billion, two-year bond package. Legislators authorized new borrowing to assist homeowners in eastern Connecticut with crumbling foundations, to upgrade the XL Center in Hartford and to complement a new taxing arrangement with the state’s hospital industry. The budget and bond package, which passed 33-3 in the Senate and is expected to be considered later Thursday in the House, also features a cap on borrowing. 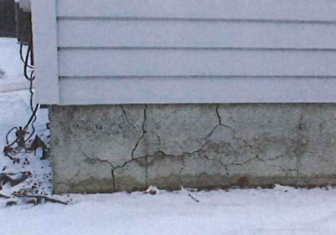 The new budget would create a special fund to provide grants to homeowners in eastern Connecticut struggling with crumbling, concrete foundations. And the bond package authorizes $20 million in borrowing in this fiscal year, and in each of the next three, to support that program. 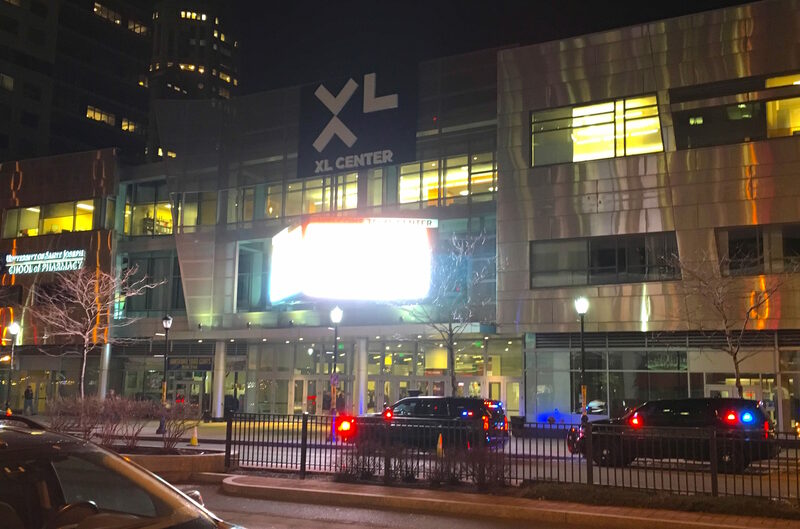 A key part of Hartford’s efforts to make the capital city more vibrant, planned renovations to the XL Center would receive $40 million this fiscal year in state bonding. And to get the hospitals to support a $344 million annual tax hike on the industry, Connecticut lawmakers pledged to increase annual payments back to the industry by $365.5 million — with $20 million of that coming in the form of state bonding this fiscal year and next. State government still would come out ahead in the deal, by about $137 million per year, because those payments to hospitals would leverage a huge increase in federal Medicaid reimbursements. The new bond cap would limit both the State Bond Commission’s authority to approve general obligation borrowing as well as the state’s ability to issue this type of bonds on Wall Street. General obligation bonds are repaid with resources from the state budget’s General Fund. This fund includes income, sales and corporation tax receipts, funds generated by several other minor taxes, gaming proceeds, several categories of federal grants, and revenues from various fees. Those funds are used for municipal school construction, many capital projects at public colleges and universities, state building maintenance and renovations, open space and farmland preservation, and various smaller projects. The bulk of transportation improvements are financed with a different type of bonding and paid off with fuel tax receipts. They are not covered by this cap. The commission cannot approve more than $2 billion in borrowing per year beginning immediately. Starting in July 2018, the cap prevents the state from issuing more than $1.9 billion in general obligation bonds. These cap limits would be adjusted annually to reflect inflation. Borrowing for capital programs at the University of Connecticut and the Board of Regents for Higher Education also are not covered by the cap. The regents oversee the Connecticut State Colleges and Universities system, which includes the four regional state universities and 12 community colleges. The bond package authorized $200 million in borrowing both in this fiscal year and in 2018-19 to support capital programs at UConn. Another $100 million was authorized in the first year and $133 million in the second for the Board of Regents’ system.